‘Between Prints and Pots’ - Ceramic Review, Issue 296, March/April ‘19. ‘Movers and Shakers’ - Homes and Gardens, Issue January ‘19. ‘Artisan Profile –Hannah Tounsend’ – Country Living's Modern Rustic, Issue 07, February ‘17. ‘Ones to Watch’ - Ceramic Review Magazine, Issue 278, March/April ‘16. 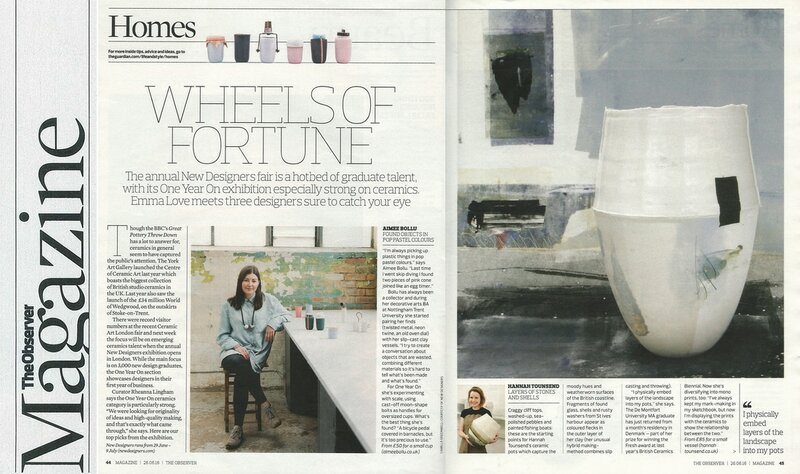 ‘Wheels of fortune’ - The Observer, The Magazine, 26th June ‘16. ‘Objects of Desire Store ’ – Country Living's Modern Rustic, Issue 06, October ‘16. Photography by Nato Welton. ​ ‘The Tomorrow People’ - Crafts Magazine, Issue 256, September/October ‘15. 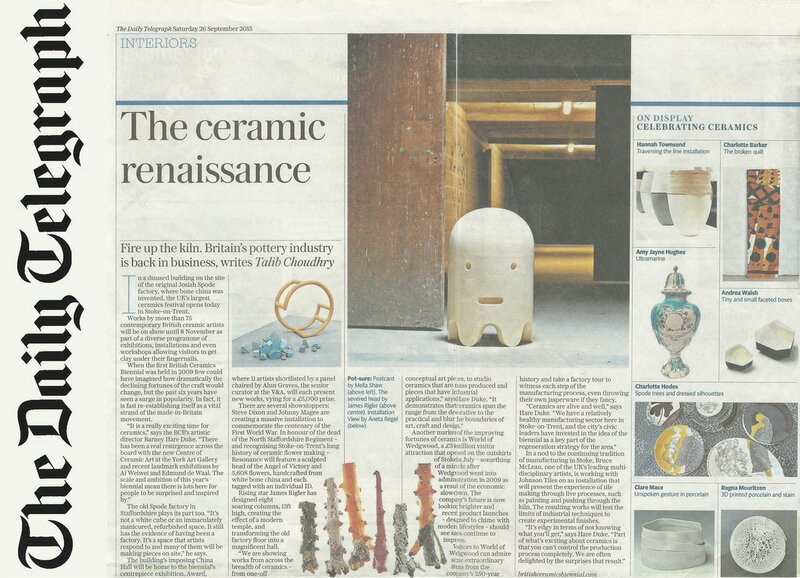 ‘The Ceramic Renaissance’ - The Daily Telegraph, Interiors Section, 26th September ‘15. ‘Gallery - Three Rising Stars’ - Ceramic Review Magazine, Issue 280, July/Aug ‘16. 'Celebrating Crafts Across the UK'- Craft & Design Magazine, Issue 245, May/ June 2016.